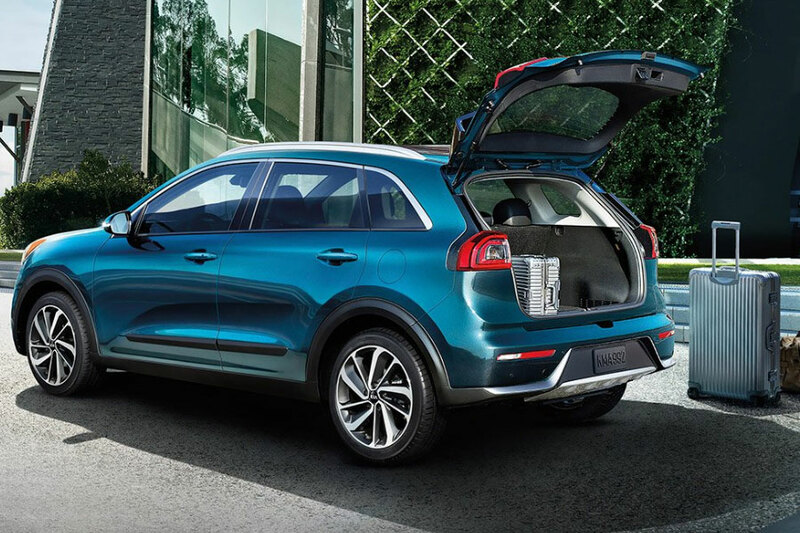 The new 2019 Kia Niro is everything you need in a hybrid crossover. A unique crossover, the new Niro offers drivers from the Orlando, Florida area more amenities in a vehicle for less. 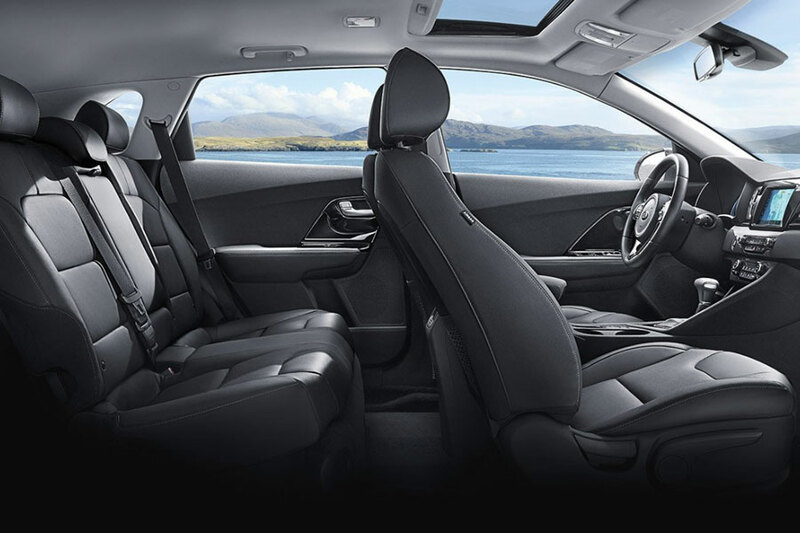 Whether you are looking for a crossover with more interior volume or an SUV with a 60% better fuel economy, drivers will enjoy everything the new Niro has to offer. Orlando drivers who are interested in the new 2019 Kia Niro can visit us at Orlando Kia West near St. Cloud, Florida to see more about this exciting crossover. 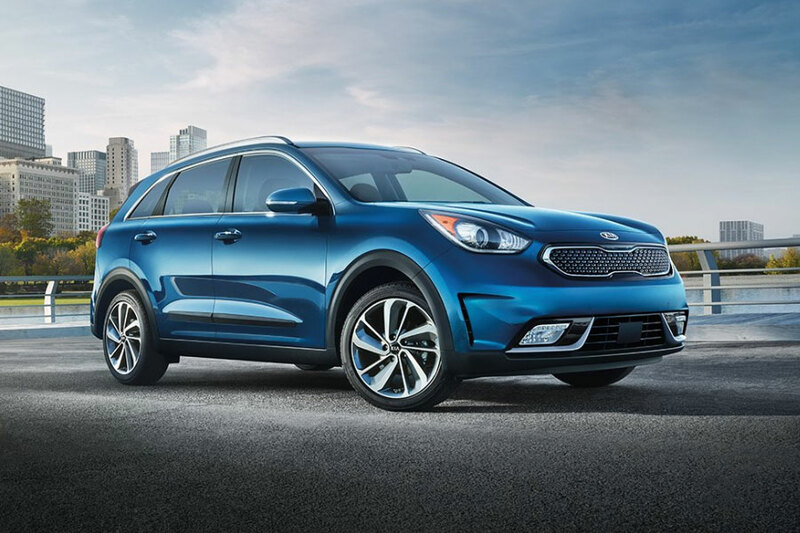 With the new 2019 Kia Niro Hybrid, drivers of this new SUV will enjoy the Parallel Hybrid System and a Regenerative Braking System, both of which makes up the core of this impressive Hybrid SUV. Drivers will also enjoy the available 6-speed dual-clutch automatic transmission and the 1.56 kWh lithium-ion battery that is designed to provided drivers with dynamic efficiency while on the road. You can see these features up close and personal by scheduling a test drive with our Orlando Kia West dealership. By scheduling a test drive, you will become ahead of the curve and discover this Kia Hybrid is both fun and efficient to drive. One of the best features found in the new 2019 Kia Niro is the available technology highlights you can use to improve your driving commute. These technology traits will allow you to pair up your smartphone with your Niro thanks to the available Apple CarPlay™ and Android Auto™ features. With these features, you will be able to listen to your favorite audio apps, travel navigation and make and receive calls and texts. You will also be able to hear your favorite audio apps in high-quality thanks to the available Harman/KardonⓇ Premium Sound System. If your current vehicle can’t deliver on these features, maybe it’s time to upgrade to the new 2019 Nia Niro. By trading in your current sedan, truck or SUV, you will receive top dollar for your vehicle, and can apply that towards the value of the new Niro. Trade-in your current car to upgrade to the new Niro by using our online Trade-In Calculator. If you’re an Orlando driver who is looking for a new Kia sedan or SUV, visit with our friendly team at Orlando Kia West. Our highly trained team is here to help you find the perfect vehicle to meet with your needs. Our team is also available to help you keep your Kia vehicle updated and well-maintained thanks to our onsite vehicle service team. Also, when you visit with us, meet with our finance team to learn about the available auto loans you will find. Our finance team can also help you determine your estimated monthly vehicle payments. Orlando drivers who are looking for a new crossover that is both a high-performing vehicle that both your friends and family will enjoy thanks to an innovatively high MPG and effective drivetrain. You can check out the new 2019 Kia Niro by visiting with our team today to learn more.